AGREEMENT - This document, along with any other documents we give you pertaining to your account(s), is a contract that establishes rules which control your account(s) with us. Please read this carefully and retain it for future reference. If you sign the signature card or open or continue to use the account, you agree to these rules. You will receive a separate schedule of rates, qualifying balances, and fees if they are not included in this document. If you have any questions, please call us. (4) Give you disclosures of some of our policies to which you may be entitled or in which you may be interested. If any provision of this document is found to be unenforceable according to its terms, all remaining provisions will continue in full force and effect. We may permit some variations from our standard agreement, but we must agree to any variation in writing either on the signature card for your account or in some other document. Nothing in this document is intended to vary our duty to act in good faith and with ordinary care when required by law. As used in this document the words “we,” “our,” and “us” mean the financial institution and the words “you” and “your” mean the account holder(s) and anyone else with the authority to deposit, withdraw, or exercise control over the funds in the account. However, this agreement does not intend, and the terms "you" and "your" should not be interpreted, to expand an individual's responsibility for an organization's liability. If this account is owned by a corporation, partnership or other organization. The headings in this document are for convenience or reference only and will not govern the interpretation of the provisions. Unless it would be inconsistent to do so, words and phrases used in this document should be construed so the singular includes the plural and the plural includes the singular. “Party” means a person who, by the terms of an account, has a present right, subject to request, to payment from the account other than as a beneficiary or agent. LIABILITY - You agree, for yourself (and the person or entity you represent if you sign as a representative of another) to the terms of this account and the schedule of charges. You authorize us to deduct these charges directly from the account balance as accrued. You will pay any additional reasonable charges for services you request which are not covered by this agreement. Each of you also agrees to be jointly and severally (individually) liable for any account shortage resulting from charges or overdrafts, whether caused by you or another with access to this account. This liability is due immediately, and can be deducted directly from the account balance whenever sufficient funds are available. You have no right to defer payment of this liability, and you are liable regardless of whether you signed the item or benefited from the charge or overdraft. You will be liable for our costs to collect the deficit as well as for our reasonable attorneys’ fees, to the extent permitted by law, whether incurred as a result of collection or in any other dispute involving your account. This includes, but is not limited to, disputes between you and another joint owner; you and an authorized signer or similar party; or a third party claiming an interest in your account. This also includes any action that you or a third party takes regarding the account that causes us, in good faith, to seek the advice of an attorney, whether or not we become involved in the dispute. All costs and attorneys' fees can be deducted from your account when they are incurred, without notice to you. DEPOSITS - We will give only provisional credit until collection is final for any items, other than cash, we accept for deposit (including items drawn “on us”). Before settlement of any item becomes final, we act only as your agent, regardless of the form of indorsement or lack of indorsement on the item and even though we provide you provisional credit for the item. We may reverse any provisional credit for items that are lost, stolen, or returned. Unless prohibited by law, we also reserve the right to charge back to your account the amount of any item deposited to your account or cashed for you which was initially paid by the payor bank and which is later returned to us due to an allegedly forged, unauthorized or missing indorsement, claim of alteration, encoding error or other problem which in our judgment justifies reversal of credit. You authorize us to attempt to collect previously returned items without giving you notice, and in attempting to collect we may permit the payor bank to hold an item beyond the midnight deadline. Actual credit for deposits of, or payable in, foreign currency will be at the exchange rate in effect on final collection in U.S. dollars. We are not responsible for transactions by mail or outside depository until we actually record them. We will treat and record all transactions received after our “daily cutoff time” on a business day we are open, or received on a day we are not open for business, as if initiated on the next business day that we are open. At our option, we may take an item for collection rather than for deposit. If we accept a third-party check for deposit, we may require any third-party indorsers to verify or guarantee their indorsements, or indorse in our presence. Generally - Unless clearly indicated otherwise on the account records, any of you, acting alone, who signs to open the account or has authority to make withdrawals may withdraw or transfer all or any part of the account balance at any time. Each of you (until we receive written notice to the contrary) authorizes each other person who signs or has authority to make withdrawals to indorse an item payable to you or order for deposit to this account or any other transaction with us. Postdated checks - A postdated check is one which bears a date later than the date on which the check is written. We may properly pay and charge your account for a postdated check even though payment was made before the date of the check, unless we have received written notice of the postdating in time to have a reasonable opportunity to act. Because we process checks mechanically, your notice will not be effective and we will not be liable for failing to honor your notice unless it precisely identifies the number, date, amount and payee of the item. 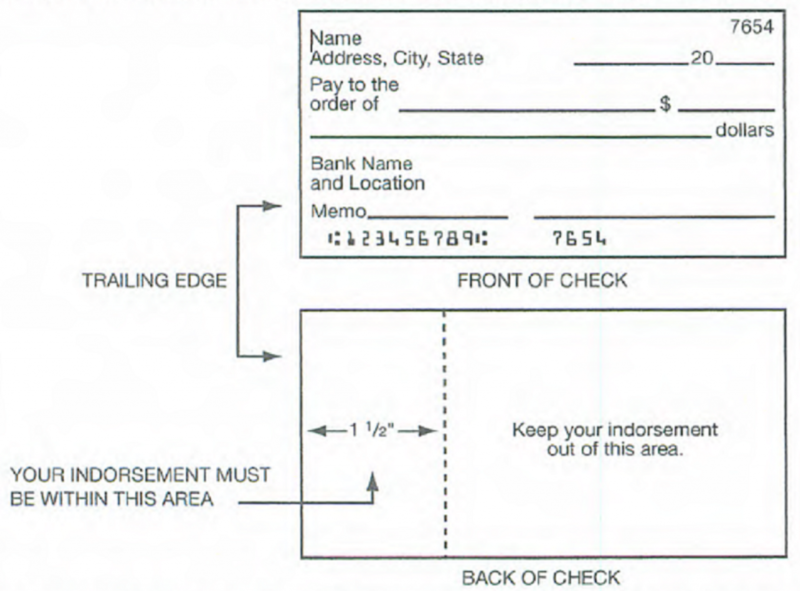 Checks and withdrawal rules - If you do not purchase your check blanks from us, you must be certain that we approve the check blanks you purchase. We may refuse any withdrawal or transfer request which you attempt on forms not approved by us or by any method we do not specifically permit. We may refuse any withdrawal or transfer request which is greater in number than the frequency permitted, or which is for an amount greater or less than any withdrawal limitations. We will use the date the transaction is completed by us (as opposed to the date you initiate it) to apply the frequency limitations. In addition, we may place limitations on the account until your identity is verified. Even if we honor a nonconforming request, we are not required to do so later. If you violate the stated transaction limitations (if any), in our discretion we may close your account or reclassify it as a transaction account. If we reclassify your account, your account will be subject to the fees and earnings rules of the new account classification. If we are presented with an item drawn against your account that would be a “substitute check,” as defined by law, but for an error or defect in the item introduced in the substitute check creation process, you agree that we may pay such item. See the funds availability policy disclosure for information about when you can withdraw funds you deposit. For those accounts for which our funds availability policy disclosure does not apply, you can ask us when you make a deposit when those funds will be available for withdrawal. An item may be returned after the funds from the deposit of that item are made available for withdrawal. In that case, we will reverse the credit of the item. We may determine the amount of available funds in your account for the purpose of deciding whether to return an item for insufficient funds at any time between the time we receive the item and when we return the item or send a notice in lieu of return. We need only make one determination, but if we choose to make a subsequent determination, the account balance at the subsequent time will determine whether there are insufficient available funds. A temporary debit authorization hold affects your account balance - On debit card purchases, merchants may request a temporary hold on your account for a specified sum of money, which may be more than the actual amount of your purchase. When this happens, our processing system cannot determine that the amount of the hold exceeds the actual amount of your purchase. This temporary hold, and the amount charged to your account, will eventually be adjusted to the actual amount of your purchase, but it may be up to three days before the adjustment is made. Until the adjustment is made, the amount of funds in your account available for other transactions will be reduced by the amount of the temporary hold. If another transaction is presented for payment in an amount greater than the funds left after the deduction of the temporary hold amount, that transaction will be a nonsufficient funds (NSF) transaction if we do not pay it or an overdraft transaction if we do pay it. You will be charged an NSF or overdraft fee according to our NSF or overdraft fee policy. You will be charged the fee even if you would have had sufficient funds in your account if the amount of the hold had been equal to the amount of your purchase. Here is an example of how this can occur - assume for this example the following: (1) we pay the overdraft (overdrafts are paid at our discretion), and (2) our overdraft fee is $25 per overdraft, but we do not charge the overdraft fee if the transaction overdraws the account by less than $10. You have $120 in your account. You swipe your card at the card reader on a gasoline pump. Since it is clear what the final bill will be, the gas station's processing system immediately requestes a hold on your account in a specified amount, for example, $80. Our processing system authorizes a temporary hold on your account in the amount of $80, and the gas station's processing system authorizes you to begin pumping gas. You fill your tank and the amount of gasoline you purchased is only $50. Our processing system shows that you have $40 in your account available for other transactions ($120 - $80 = $40) even though you would have $70 in your account available for other transactions if the amount of the temporary hold was equal to the amount of your purchase ($120 - $50 = $70). Later, another transaction you have authorized is presented for payment from your account in the amount of $60 (this could be a check you have written, an ACH debit or any other kind of payment request). This other transaction is presented before the amount of the temporary hold is adjusted to the amount of your purchase (remember, it may take up to three days for the adjustment to be made). Because the amount of this other transaction is greater than the amount our processing system shows is available in your account, our payment of this transaction will result in an overdraft transaction. Because the transaction overdraws your account by $20, your account will be assessed the overdraft fee of $25 according to our overdraft fee policy. You will be charged this $25 fee according to our policy even though you would have had enough money in your account to cover the $60 transaction if your account had only been debited the amount of your purchase rather than the amount of the temporary hold or if the temporary hold had already been adjusted to the actual amount of your purchase. Overdrafts - You understand that we may, at our discretion, honor withdrawal requests that overdraw your account. However, the fact that we may honor withdrawal requests that overdraw the account balance does not obligate us to do so later. So you can NOT rely on us to pay overdrafts on your account regardless of how frequently or under what circumstances we have paid overdrafts on your account in the past We can change our practice of paying overdrafts on your account without notice to you. You can ask us if we have other account services that might be available to you where we commit to paying overdrafts under certain circumstances, such as overdraft protection line-of-credit or a plan to sweep funds from another account you have with us. You agree that we may charge fees for overdrafts. For consumer accounts, we will not charge fees for overdrafts caused by ATM withdrawals or one-time debit card transactions if you have not opted-in to that service. We may use subsequent deposits, including direct deposits of social security or other government benefits, to cover such overdrafts and overdraft fees. Multiple signatures, electronic check conversion, and similar transactions - An electronic check conversion transaction is a transaction where a check or similar item is converted into an electronic fund transfer as defined in the Electronic Fund Transfers regulation. In these types of transactions the check or similar item is either removed from circulation (truncated) or given back to you. As a result, we have no opportunity to review the check to examine the signatures on the item. You agree that, as to these or any items as to which we have no opportunity to examine the signatures, you waive any requirement of multiple signatures. Notice of withdrawal - We reserve the right to require not less than 7 days' notice in writing before each withdrawal from an interest-bearing account other than a time deposit or demand deposit, or from any other savings account as defined by Regulation D. (The law requires us to reserve this right, but it is not our general policy to use it.) Withdrawals from a time account prior to maturity or prior to any notice period may be restricted and may be subject to penalty. See your notice of penalty for early withdrawal. OWNERSHIP OF ACCOUNT AND BENEFICIARY DESIGNATION - These rules apply to this account depending on the form of ownership and beneficiary designation, if any, specified on the account records. We make no representations as to the appropriateness or effect of the ownership and beneficiary designations, except as they determine to whom we pay the account funds. Single-Party Account - Such an account is owned by one party. Multiple-Party Account - Parties own account during the lifetime of all parties in proportion to their net contributions, unless there is clear and convincing evidence of a different intent. RIGHTS AT DEATH - Single-Party Account - At the death of a party, ownership passes as part of the party’s estate. Multiple-Party Account With Right of Survivorship - At death of party, ownership passes to surviving parties. If two or more parties survive and one is the surviving spouse of the deceased party, the amount to which the deceased party, immediately before death, was beneficially entitled by law belongs to the surviving spouse. If two or more parties survive and none is the spouse of the decedent, the amount to which the deceased party, immediately before death, was beneficially entitled by law belongs to the surviving parties in equal shares, and augments the proportion to which each surviving party, immediately before the deceased party’s death, was beneficially entitled under law, and the right of survivorship continues between the surviving parties. Multiple-Party Account Without Right of Survivorship - At death of party, deceased party’s ownership passes as part of deceased party’s estate. Single-Party Account with Pay-on-Death Designation - At death of the party, ownership passes to the designated pay-on-death beneficiaries and is not part of the party’s estate. Multiple-Party Account with Right of Survivorship and Pay-on-Death Designation - At death of last surviving party, ownership passes to the designated pay-on-death beneficiaries and is not part of the last surviving party’s estate. BUSINESS, ORGANIZATION AND ASSOCIATION ACCOUNTS - Earnings in the form of interest, dividends, or credits will be paid only on collected funds, unless otherwise provided by law or our policy. We may require the governing body of the entity opening the account to give us a separate authorization telling us who is authorized to act on its behalf. We will honor the authorization until we actually receive written notice of a change from the governing body of the entity. STOP PAYMENTS - Unless otherwise provided, the rules in this section cover stopping payment of items such as checks and drafts. Rules for stopping payment of other types of transfers of funds, such as consumer electronic fund transfers, may be established by law or our policy. If we have not disclosed these rules to you elsewhere, you may ask us about those rules. We may accept an order to stop payment on any item from any one of you. You must make any stop-payment order in the manner required by law and we must receive it in time to give us a reasonable opportunity to act on it before our stop-payment cutoff time. Because stop-payment orders are handled by computers, to be effective, your stop-payment order must precisely identify the number, date, and amount of the item and the payee. You may stop payment on any item drawn on your account whether you sign the item or not. Generally, if your stop-payment order is given to us in writing it is effective for six months. Your order will lapse after that time if you do not renew the order in writing before the end of the six-month period. If the original stop-payment order was oral your stop-payment order will lapse after 14 calendar days if you do not confirm in writing within that time period. We are not obligated to notify you when a stop-payment order expires. A release of the stop-payment request may be made only by the person who initiated the stop-payment order. If you stop payment on an item and we incur any damages or expenses because of the stop-payment, you agree to indemnify us for those damages or expenses, including attorneys' fees. You assign to us all rights against the payee or any other holder of the item. You agree to cooperate with us in any legal actions that we may take against such persons. You should be aware that anyone holding the item may be entitled to enforce payment against you despite the stop-payment order. Our stop-payment cutoff time is one hour after the opening of the next banking day after the banking day on which we receive the item. Additional limitations on our obligation to stop payment are provided by law (e.g., we paid the item in cash or we certified the item). TELEPHONE TRANSFERS - A telephone transfer of funds from this account to another account with us, if otherwise arranged for or permitted, may be made by the same persons and under the same conditions generally applicable to withdrawals made in writing. Unless a different limitation is disclosed in writing, we restrict the number of transfers from a savings account to another account or to third parties, to a maximum of six per month (less the number of “preauthorized transfers” during the month). Other account transfer restrictions may be described elsewhere. AMENDMENTS AND TERMINATION - We may change any term of this agreement. Rules governing changes in interest rates are provided separately in the Truth-in-Savings disclosure or in another document. For other changes, we will give you reasonable notice in writing or by any other method permitted by law. We may also close this account at any time upon reasonable notice to you and tender of the account balance personally or by mail. Items presented for payment after the account is closed may be dishonored. When you close your account, you are responsible for leaving enough money in the account to cover any outstanding items to be paid from the account. Reasonable notice depends on the circumstances, and in some cases such as when we cannot verify your identity or we suspect fraud, it might be resonable for us to give you a notice after the change or account closure becomes effective. For instance, if we suspect fraudulent activity with respect to your account, we might immediately freeze or close your account and then give you notice. If we have notified you of a change in any term of your account and you continue to have your account after the effective date of the change, you have agreed to the new term(s). NOTICES - Any written notice you give us is effective when we actually receive it, and it must be given to us according to the specific delivery instructions provided elsewhere, if any. We must receive it in time to have a reasonable opportunity to act on it. If the notice is regarding a check or other item, you must give us sufficient information to be able to identify the check or item, including the precise check or item number, amount, date and payee. Written notice we give you is effective when it is deposited in the United States Mail with proper postage and addressed to your mailing address we have on file. Notice to any of you is notice to all of you. STATEMENTS - Your duty to report unauthorized signatures, alterations and forgeries - You must examine your statement of account with “reasonable promptness.” If you discover (or reasonably should have discovered) any unauthorized signatures or alterations, you must promptly notify us of the relevant facts. As between you and us, if you fail to do either of these duties, you will have to either share the loss with us, or bear the loss entirely yourself (depending on whether we used ordinary care and, if not, whether we substantially contributed to the loss). The loss could be not only with respect to items on the statement but other items with unauthorized signatures or alterations by the same wrongdoer. You agree that the time you have to examine your statement and report to us will depend on the circumstances, but will not, in any circumstance, exceed a total of 30 days from when the statement is first sent or made available to you. You further agree that if you fail to report any unauthorized signatures, alterations or forgeries in your account within 60 days of when we first send or make the statement available, you cannot assert a claim against us on any items in that statement, and as between you and us the loss will be entirely yours. This 60-day limitation is without regard to whether we used ordinary care. The limitation in this paragraph is in addition to that contained in the first paragraph of this section. Your duty to report other errors - In addition to your duty to review your statements for unauthorized signatures, alterations and forgeries, you agree to examine your statement with reasonable promptness for any other error - such as an encoding error. In addition, if you receive or we make available either your items or images of your items, you must examine them for any unauthorized or missing indorsements or any other problems. You agree that the time you have to examine your statement and report to us will depend on the circumstances. However, such time period shall not exceed 60 days. Failure to examine your statement and report any such errors to us within 60 days of when we first send or make the statement available precludes you from asserting a claim against us for any such errors on items identified in that statement and as between you and us the loss will be entirely yours. Errors relating to electronic fund transfers or substitute checks – For information on errors relating to electronic fund transfers (e.g., computer, debit card or ATM transactions) refer to your Electronic Fund Transfers disclosure and the sections on consumer liability and error resolution. For information on errors relating to a substitute check you received, refer to your disclosure entitled Substitute Checks and Your Rights. ACCOUNT TRANSFER - This account may not be transferred or assigned without our prior written consent. DIRECT DEPOSITS - If we are required for any reason to reimburse the federal government for all or any portion of a benefit payment that was directly deposited into your account, you authorize us to deduct the amount of our liability to the federal government from the account or from any other account you have with us, without prior notice and at any time, except as prohibited by law. We may also use any other legal remedy to recover the amount of our liability. TEMPORARY ACCOUNT AGREEMENT - If the account documentation indicates that this is a temporary account agreement, each person who signs to open the account or has authority to make withdrawals (except as indicated to the contrary) may transact business on this account. However, we may at some time in the future restrict or prohibit further use of this account if you fail to comply with the requirements we have imposed within a reasonable time. SETOFF - We may (without prior notice and when permitted by law) set off the funds in this account against any due and payable debt you owe us now or in the future. If this account is owned by one or more of you as individuals, we may set off any funds in the account against a due and payable debt a partnership owes us now or in the future, to the extent of your liability as a partner for the partnership debt. If your debt arises from a promissory note, then the amount of the due and payable debt will be the full amount we have demanded, as entitled under the terms of the note, and this amount may include any portion of the balance for which we have properly accelerated the due date. (d) setoff is prohibited by the Military Lending Act or its implementing regulations. We will not be liable for the dishonor of any check when the dishonor occurs because we set off a debt against this account. You agree to hold us harmless from any claim arising as a result of our exercise of our right of setoff. AGENCY (Power of Attorney) DESIGNATION (Single-Party Accounts only) - A single individual is the owner. The agent is merely designated to conduct transactions on the owner’s behalf. The owner does not give up any rights to act on the account, and the agent may not in any manner affect the rights of the owner or beneficiaries, if any, other than by withdrawing funds from the account. The owner is responsible for any transactions of the agent. We undertake no obligation to monitor transactions to determine that they are on the owner’s behalf. The owner may terminate the agency at any time, and the agency is automatically terminated by the death of the owner. However, we may continue to honor the transactions of the agent until: (a) we have received written notice of have actual knowledge of the termination of the agency, and (b) we have a reasonable opportunity to act on that notice or knowledge. We may refuse to accept the designation of an agent. RESTRICTIVE LEGENDS OR INDORSEMENTS - The automated processing of the large volume of checks we receive prevents us from inspecting or looking for restrictive legends, restrictive indorsements or other special instructions on every check. Examples of restrictive legends are “must be presented within 90 days” or “not valid for more than $1,000.00.” The payee's signature accompanied by the words "for deposit only" is an example of a restrictive indorsement. For this reason, we are not required to honor any restrictive legend or indorsement or other special instruction placed on checks you write unless we have agreed in writing to the restriction or instruction. Unless we have agreed in writing, we are not responsible for any losses, claims, damages, or expenses that result from your placement of these restrictions or instructions on your checks. PAYMENT ORDER OF ITEMS – The law permits us to pay items drawn on your account in any order (for purposes of this section “items” means checks, orders and electronic transactions). To assist you in handling your account with us, we are providing you with the following information regarding how we process those items. When processing checks or orders drawn on your account, our policy is to pay them according to the dollar amount. We pay the smallest checks and orders first. For electronic transactions, our policy is to pay them in the order that they are received. The order in which items are paid is important if there is not enough money in your account to pay all of the items that are presented. There is no policy that is favorable in every instance. If the smallest items are paid first, you may have fewer NSF or overdraft fees, but the largest, and perhaps more important items (such as rent or mortgage payments) might not be paid. However, if the largest items are paid first, your most important items might be paid but it may increase the overdraft or NSF fees if funds are not available to pay all of the items. If an item is presented without sufficient funds in your account to pay it, we may, at our discretion, pay the item (creating an overdraft) or return the item (NSF). The amounts of the overdraft and NSF fees are disclosed elsewhere. We encourage you to make careful records and practice good account management. This will help you to avoid creating items without sufficient funds and incurring the resulting fees. FACSIMILE SIGNATURES - Unless you make advance arrangements with us, we have no obligation to honor facsimile signatures on your checks or other orders. If we do agree to honor items containing facsimile signatures, you authorize us, at any time, to charge you for all checks, drafts, or other orders, for the payment of money, that are drawn on us. You give us this authority regardless of by whom or by what means the facsimile signature(s) may have been affixed so long as they resemble the facsimile signature specimen filed with us, and contain the required number of signatures for this purpose. You must notify us at once if you suspect that your facsimile signature is being or has been misused. CHECK PROCESSING - We may process items mechanically by relying on the information encoded in magnetic ink along the bottom of the items. This means that we do not individually examine all of your items to determine if the item is properly completed, signed and indorsed or to determine if it contains any information other than what is encoded in magnetic ink. You agree that we have exercised ordinary care if our automated processing is consistent with general banking practice, even though we do not inspect each item. Because we do not inspect each item, if you write a check to multiple payees, we can properly pay the check regardless of the number of indorsements. We must receive the notice in time for us to have a reasonable opportunity to act on it, and you must tell us the precise date of the check, amount, check number and payee. We are not responsible for any unauthorized signature or alteration that would not be identified by a reasonable inspection of the item. Using an automated process helps us keep costs down for you and all account holders. CHECK CASHING - We may charge a fee for anyone that does not have an account with us who is cashing a check, draft or other instrument written on your account. We may also require reasonable identification to cash such a check, draft or other instrument. We can decide what identification is reasonable under the circumstances and such identification may be documentary or physical and may include collecting a thumbprint or fingerprint. TRUNCATION, SUBSTITUTE CHECKS, AND OTHER CHECK IMAGES – If you truncate an original check and create a substitute check, or other paper or electronic image of the original check, you warrant that no one will be asked to make payment on the original check, a substitute check or any other electronic or paper image, if the payment obligation relating to the original check has already been paid. You also warrant that any substitute check you create conforms to the legal requirements and generally accepted specifications for substitute checks. You agree to retain the original check in conformance with our internal policy for retaining original checks. You agree to indemnify us for any loss we may incur as a result of any truncated check transaction you initiate. We can refuse to accept substitute checks that have not previously been warranted by a bank or other financial institution in conformance with the Check 21 Act. Unless specifically stated in a separate agreement between you and us, we do not have to accept any other electronic or paper image of an original check. INDORSEMENTS - We may accept for deposit any item payable to you or your order, even if they are not indorsed by you. We may give cash back to any one of you. We may supply any missing indorsement(s) for any item we accept for deposit or collection, and you warrant that all indorsements are genuine. To ensure that your check or share draft is processed without delay, you must indorse it (sign it on the back) in a specific area. Your entire indorsement (whether a signature or a stamp) along with any other indorsement information (e.g. additional indorsements, ID information, driver's license number, etc.) must fall within 1 ½" of that edge. It is important that you confine the indorsement information to this area since the remaining blank space will be used by others in the processing of the check to place additional needed indorsements and information. You agree that you will indemnify, defend, and hold us harmless for any loss, liability, damage or expense that occurs because your indorsement, another indorsement or information you have printed on the back of the check obscures our indorsement. These indorsement guidelines apply to both personal and business checks. DEATH OR INCOMPETENCE - You agree to notify us promptly if any person with a right to withdraw funds from your account(s) dies or is adjudicated (determined by the appropriate official) incompetent. We may continue to honor your checks, items, and instructions until: (a) we know of your death or adjudication of incompetence, and (b) we have had a reasonable opportunity to act on that knowledge. You agree that we may pay or certify checks drawn on or before the date of death or adjudication of incompetence unless ordered to stop payment by someone claiming an interest in the account. FIDUCIARY ACCOUNTS - Accounts may be opened by a person acting in a fiduciary capacity. A fiduciary is someone who is appointed to act on behalf of and for the benefit of another. We are not responsible for the actions of a fiduciary, including the misuse of funds. This account may be opened and maintained by a person or persons named as a trustee under a written trust agreement, or as executors, administrators, or conservators under court orders. You understand that by merely opening such an account, we are not acting in the capacity of a trustee in connection with the trust nor do we undertake any obligation to monitor or enforce the terms of the trust or letters. CREDIT VERIFICATION - You agree that we may verify credit and employment history by any necessary means, including preparation of a credit report by a credit reporting agency. LEGAL ACTIONS AFFECTING YOUR ACCOUNT - If we are served with a subpoena, restraining order, writ of attachment or execution, levy, garnishment, search warrant, or similar order relating to your account (termed "legal action" in this section), we will comply with that legal action. Or, in our discretion, we may freeze the assets in the account and not allow any payments out of the account until a final court determination regarding the legal action. We may do these things even if the legal action involves less than all of you. In these cases, we will not have any liability to you if there are insufficient funds to pay your items because we have withdrawn funds from your account or in any way restricted access to your funds in accordance with the legal action. Any fees or expenses we incur in responding to any legal action (including, without limitation, attorneys' fees and our internal expenses) may be charged against your account. The list of fees applicable to your account(s) provided elsewhere may specify additional fees that we may charge for certain legal actions. SECURITY - It is your responsibility to protect the account numbers and electronic access devices (e.g., an ATM card) we provide you for your account(s). Do not discuss, compare, or share information about your account number(s) with anyone unless you are willing to give them full use of your money. An account number can be used by theives to issue an electronic debit or to encode your number on a false demand draft which looks like and functions like an authorized check. If you furnish your access device and grant actual authority to make transfers to another person (a family member or coworker, for example) who then exceeds that authority, you are liable for the transfers unless we have been notified that transfers by that person are no longer authorized. Your account number can also be used to electronically remove money from your account and payment can be made from your account even though you did not contact us directly and order the payment. You must also take precaution in safeguarding your blank checks. Notify us at once if you believe your checks have been lost or stolen. As between you and us, if you are negligent in safeguarding your checks, you must bear the loss entirely yourself or share the loss with us (we may have to share some of the loss if we failed to use ordinary care and if we substantially contributed to the loss). Except for consumer electronic funds transfers subject to Regulation E, you agree that if we offer you services appropriate for your account to help identify and limit fraud or other unauthorized transactions against your account, such as positive pay or commercially reasonable security procedures, and you reject those services, you will be responsible for any fraudulent or unauthorized transactions which could have been prevented by the services we offered, unless we acted in bad faith or to the extent our negligence contributed to the loss. If we offered you a commercially reasonable security procedure which you reject, you agree that you are responsible for any payment order, whether authorized or not, that we accept in compliance with an alternative security procedure that you have selected. TELEPHONIC INSTRUCTIONS - Unless required by law or we have agreed otherwise in writing, we are not required to act upon instructions you give us via facsimile transmission or leave by voice mail or on a telephone answering machine. MONITORING AND RECORDING TELEPHONE CALLS AND CONSENT TO RECEIVE COMMUNICATIONS - Subject to federal and state law, we may monitor or record phone calls for security reasons, to maintain a record and to ensure that you receive courteous and efficient service. You consent in advance to any such recording. To provide you with the best possible service in our ongoing business relationship for your account we may need to contact you about your account from time to time by telephone, text messaging or email. However, we must first obtain your consent to contact you about your account because we must comply with the consumer protection provisions in the federal Telephone Consumer Protection Act of 1991 (TCPA), CAN-SPAM Act and their related federal regulations and orders issued by the Federal Communications Commission (FCC). • Your consent is limited to your account, and as authorized by applicable law and regulations. • Your consent does not authorize us to contact you for telemarketing purposes (unless you otherwise agreed elsewhere). With the above understandings, you authorize us to contact you regarding your account throughout its existence using any telephone numbers or email addresses that you have previously provided to us or that you may subsequently provide to us. This consent is regardless of whether the number we use to contact you is assigned to a landline, a paging service, a cellular wireless service, a specialized mobile radio service, other radio common carrier service or any other service for which you may be charged for the call. You further authorize us to contact you through the use of voice, voice mail and text messaging, including the use of pre-recorded or artificial voice messages and an automated dialing device. If necessary, you may change or remove any of the telephone numbers or email addresses at any time using any reasonable means to notify us. CLAIM OF LOSS - If you claim a credit or refund because of a forgery, alteration, or any other unauthorized withdrawal, you agree to cooperate with us in the investigation of the loss, including giving us an affidavit containing whatever reasonable information we require concerning your account, the transaction, and the circumstances surrounding the loss. You will notify law enforcement authorities of any criminal act related to the claim of lost, missing, or stolen checks or unauthorized withdrawals. We will have a reasonable period of time to investigate the facts and circumstances surrounding any claim of loss. Unless we have acted in bad faith, we will not be liable for special or consequential damages, including loss of profits or opportunity, or for attorneys' fees incurred by you. You agree that you will not waive any rights you have to recover your loss against anyone who is obligated to repay, insure, or otherwise reimburse you for your loss. You will pursue your rights or, at our option, assign them to us so that we may pursue them. Our liability will be reduced by the amount you recover or are entitled to recover from these other sources. EARLY WITHDRAWAL PENALTIES (and involuntary withdrawals) - We may impose early withdrawal penalties on a withdrawal from a time account even if you don't initiate the withdrawal. For instance, the early withdrawal penalty may be imposed if the withdrawal is caused by our setoff against funds in the account or as a result of an attachment or other legal process. We may close your account and impose the early withdrawal penalty on the entire account balance in the event of a partial early withdrawal. See your notice of penalty for early withdrawals for additional information. ADDRESS OR NAME CHANGES - You are responsible for notifying us of any change in your address or your name. Unless we agree otherwise, change of address or name must be made in writing by at least one of the account holders. Informing us of your address or name change on a check reorder form is not sufficient. We will attempt to communicate with you only by use of the most recent address you have provided to us. If provided elsewhere, we may impose a service fee if we attempt to locate you. RESOLVING ACCOUNT DISPUTES - We may place an administrative hold on the funds in your account (refuse payment or withdrawal of the funds) if it becomes subject to a claim adverse to (1) your own interest; (2) others claiming an interest as survivors or beneficiaries of your account; or (3) a claim arising by operation of law. The hold may be placed for such period of time as we believe reasonably necessary to allow a legal proceeding to determine the merits of the claim or until we receive evidence satisfactory to us that the dispute has been resolved. We will not be liable for any items that are dishonored as a consequence of placing a hold on funds in your account for these reasons. WAIVER OF NOTICES - To the extent permitted by law, you waive any notice of non-payment, dishonor or protest regarding any items credited to or charged against your account. For example, if you deposit a check and it is returned unpaid or we receive a notice of nonpayment, we do not have to notify you unless required by federal Regulation CC or other law. ACH AND WIRE TRANSFERS - This agreement is subject to Article 4A of the Uniform Commercial Code - Fund Transfers as adopted in the state in which you have your account with us. If you originate a fund transfer for which Fedwire is used, and you identify by name and number a beneficiary financial institution, an intermediary financial institution or a beneficiary, we and every receiving or beneficiary financial institution may rely on the identifying number to make payment. We may rely on the number even if it identifies a financial institution, person or account other than the one named. You agree to be bound by automated clearing house association rules. These rules provide, among other things, that payments made to you, or originated by you, are provisional until final settlement is made through a Federal Reserve Bank or payment is otherwise made as provided in Article 4A-403(a) of the Uniform Commercial Code. If we do not receive such payment, we are entitled to a refund from you in the amount credited to your account and the party originating such payment will not be considered to have paid the amount so credited. If we receive a payment order to credit an account you have with us by wire or ACH, we are not required to give you any notice of the payment order or credit. INTERNATIONAL ACH TRANSACTIONS - Financial institutions are required by law to scrutinize or verify an international ACH transaction (IAT) that they receive against the Specially Designated Nationals (SDN) list of the Office of Foreign Assets Control (OFAC). This action may, from time to time, cause us to temporarily suspend processing of an IAT and potentially affect the settlement and/or availability of such payments. Indicated below are types of Electronic Fund Transfers we are capable of handling, some of which may not apply to your account. Please read this disclosure carefully because it tells you your rights and obligations for the transactions listed. You should keep this notice for future reference. • Preauthorized credits. You may make arrangements for certain direct deposits to be accepted into your checking or savings account(s). • Preauthorized payments. You may make arrangements to pay certain recurring bills from your checking, NOW, or money market account(s). • Electronic check conversion. You may authorize a merchant or other payee to make a one-time electronic payment from your checking account using information from your check to pay for purchases or pay bills. • Electronic returned check charge. You may authorize a merchant or other payee to initiate an electronic funds transfer to collect a charge in the event a check is returned for insufficient funds. Please also see Limitations on frequency of transfers section regarding limitations that apply to savings accounts. Please also see Limitations on frequency of transfers section regarding limitations that apply to telephone transfers. Super NOW, or money market account(s). Some of these services may not be available at all terminals. Please also see Limitations on frequency of transfers section regarding limitations that apply to ATM transfers. Types of MasterMoney™ Debit Card Point-of-Sale Transactions - You may access your checking, Super NOW checking, or money market account(s) to purchase goods (in person, online, or by phone), pay for services (in person, online, or by phone), get cash from a merchant, if the merchant permits, or from a participating financial institution, and do anything that a participating merchant will accept. Please also see Limitations on frequency of transfers section regarding limitations that apply to debit card transactions. Currency Conversion and Cross-Border Transaction Fees. If you effect a transaction with your MasterMoney™ debit card in a currency other than US Dollars, MasterCard® will convert the charge into a US Dollar amount. The MasterCard currency conversion procedure includes use of either a government-mandated exchange rate, or a wholesale exchange rate selected by MasterCard. The exchange rate MasterCard uses will be a rate in effect on the day the transaction is processed. This rate may differ from the rate in effect on the date of purchase or the date the transaction was posted to your account. MasterCard charges us a Currency Conversion Assessment of 20 basis points (.2% of the transaction) for performing the currency conversion. In addition, MasterCard charges us an Issuer Cross-Border Assessment of 90 basis points (.9% of the transaction) on all cross-border transactions regardless of whether there is a currency conversion. As a result, we charge you a Currency Conversion fee of .2% and a Cross-Border Transaction fee of .9%. The Cross-Border Transaction fee is charged on all cross-border transactions regardless of whether there is a currency conversion. A cross-border transaction is a transaction processed through the Global Clearing Management System or the MasterCard Debit Switch in which the country of the merchant is different than the country of the cardholder. Advisory Against Illegal Use. You agree not to use your card(s) for illegal gambling or other illegal purpose. Display of a payment card logo by, for example, an online merchant does not necessarily mean that transactions are lawful in all jurisdictions in which the cardholder may be located. Please also see Limitations on frequency of transfers section regarding limitations that apply to computer transfers. • Withdrawals or transfers from a savings account to another account or to third parties by telephone or in person are limited to two per month. • Transfers from a money market account to another account or to third parties by preauthorized, automatic, internet or telephone banking or telephone transfer or by check, draft, debit card, or similar order to third parties are limited to six per statement cycle. • We do not charge for direct deposits to any type of account. Except as indicated elsewhere, we do not charge for these electronic fund transfers. ATM Operator/Network Fees. When you use an ATM not owned by us, you may be charged a fee by the ATM operator or any network used (and you may be charged a fee for a balance inquiry even if you do not complete a fund transfer). • Terminal transfers. You can get a receipt at the time you make a transfer to or from your account using an automated teller machine or point-of-sale terminal. However, you may not get a receipt if the amount of the transfer is $15 or less. • Preauthorized credits. If you have arranged to have direct deposits made to your account at least once every 60 days from the same person or company, you can call us at (334) 898-7107 to find out whether or not the deposit has been made. • Periodic statements. You will get a monthly account statement from us for your checking, Super NOW, or money market accounts. You will get a quarterly account statement from us for your savings accounts, if the only possible electronic transfers to or from the account are preauthorized credits. Call or write us at the telephone number or address listed in this brochure in time for us to receive your request 3 business days or more before the payment is scheduled to be made. If you call, we may also require you to put your request in writing and get it to us within 14 days after you call. We will charge you $15.00 for each stop-payment order you give. • Liability for failure to stop payment of preauthorized transfer. If you order us to stop one of these payments 3 business days or more before the transfer is scheduled, and we do not do so, we will be liable for your losses or damages. Liability for failure to make transfers. If we do not complete a transfer to or from your account on time or in the correct amount according to our agreement with you, we will be liable for your losses or damages. (1) If, through no fault of ours, you do not have enough money in your account to make the transfer. (2) If you have an overdraft line and the transfer would go over the credit limit. (3) If the automated teller machine where you are making the transfer does not have enough cash. (4) If the terminal or system was not working properly and you knew about the breakdown when you started the transfer. (5) If circumstances beyond our control (such as fire or flood) prevent the transfer, despite reasonable precautions that we have taken. (6) There may be other exceptions stated in our agreement with you. (5) as explained in the separate Privacy Disclosure. (a) Consumer liability. Tell us AT ONCE if you believe your card and/or code has been lost or stolen, or if you believe that an electronic fund transfer has been made without your permission using information from your check. Telephoning is the best way of keeping your possible losses down. You could lose all the money in your account (plus your maximum overdraft line of credit). If you tell us within 2 business days after you learn of the loss or theft of your card and/or code, you can lose no more than $50 if someone used your card and/or code without your permission. If you do NOT tell us within 2 business days after you learn of the loss or theft of your card and/or code, and we can prove we could have stopped someone from using your card and/or code without your permission if you had told us, you could lose as much as $500. Also, if your statement shows transfers that you did not make, including those made by card, code or other means, tell us at once. If you do not tell us within 60 days after the statement was mailed to you, you may not get back any money you lost after the 60 days if we can prove that we could have stopped someone from taking the money if you had told us in time. If a good reason (such as a long trip or a hospital stay) kept you from telling us, we will extend the time periods. (ii) upon becoming aware of a loss or theft, you promptly report the loss or theft to us. Mastercard is a registered trademark, and the circles design is a trademark of Mastercard International Incorporated. (b) Contact in event of unauthorized transfer. If you believe your card and/or code has been lost or stolen, call or write us at the telephone number or address listed in this brochure. You should also call the number or write to the address listed in this brochure if you believe a transfer has been made using the information from your check without your permission. In Case of Errors or Questions About Your Electronic Transfers, Call or Write us at the telephone number or address listed in this brochure, as soon as you can, if you think your statement or receipt is wrong or if you need more information about a transfer listed on the statement or receipt. We must hear from you no later than 60 days after we sent the FIRST statement on which the problem or error appeared. (1) Tell us your name and account number (if any). (2) Describe the error or the transfer you are unsure about, and explain as clearly as you can why you believe it is an error or why you need more information. (3) Tell us the dollar amount of the suspected error. If you tell us orally, we may require that you send us your complaint or question in writing within 10 business days. We will determine whether an error occurred within 10 business days (20 business days if the transfer involved a new account) after we hear from you and will correct any error promptly. If we need more time, however, we may take up to 45 days (90 days if the transfer involved a new account, a point-of-sale transaction, or a foreign-initiated transfer) to investigate your complaint or question. If we decide to do this, we will credit your account within 10 business days (20 business days if the transfer involved a new account) for the amount you think is in error, so that you will have the use of the money during the time it takes us to complete our investigation. If we ask you to put your complaint or question in writing and we do not receive it within 10 business days, we may not credit your account. Your account is considered a new account for the first 30 days after the first deposit is made, unless each of you already has an established account with us before this account is opened. We will tell you the results within three business days after completing our investigation. If we decide that there was no error, we will send you a written explanation. You may ask for copies of the documents that we used in our investigation. This policy statement applies to “transaction” accounts. Transaction accounts, in general, are accounts which permit an unlimited number of payments to third persons and an unlimited number of telephone and preauthorized transfers to other accounts of yours with us. Checking accounts are the most common transaction accounts. Feel free to ask us whether any of your other accounts might also be under this policy. Our policy is to make funds from your deposits available to you on the first business day after the day we receive your deposit. Electronic direct deposits will be available on the day we receive the deposit. Once they are available, you can withdraw the funds in cash and/or we will use the funds to pay checks that you have written. Please remember that even after we have made funds available to you, and you have withdrawn the funds, you are still responsible for checks you deposit that are returned to us unpaid and for any other problems involving your deposit. For determining the availability of your deposits, every day is a business day, except Saturdays, Sundays, and federal holidays. If you make a deposit before closing on a business day that we are open, we will consider that day to be the day of your deposit. However, if you make a deposit after closing or on a day we are not open, we will consider that the deposit was made on the next business day we are open. If we cash a check for you that is drawn on another bank, we may withhold the availability of a corresponding amount of funds that are already in your account. Those funds will be available at the time funds from the check we cashed would have been available if you had deposited it. Case-by-case delays. In some cases, we will not make all of the funds that you deposit by check available to you on the first business day after the day of your deposit. Depending on the type of check that you deposit, funds may not be available until the second business day after the day of your deposit. The first $200 of your deposits, however, will be available on the first business day. If we are not going to make all of the funds from your deposit available on the first business day, we will notify you at the time you make your deposit. We will also tell you when the funds will be available. If your deposit is not made directly to one of our employees, or if we decide to take this action after you have left the premises, we will mail you the notice by the day after we receive your deposit. If you will need the funds from a deposit right away, you should ask us when the funds will be available. You have overdrawn your account repeatedly in the last six months. We will notify you if we delay your ability to withdraw funds for any of these reasons, and we will tell you when the funds will be available. They will generally be available no later than the seventh business day after the day of your deposit. If you are a new customer, the following special rules will apply during the first 30 days your account is open. Funds from electronic direct deposits to your account will be available on the day we receive the deposit. Funds from deposits of cash, wire transfers, and the first $5,000 of a day’s total deposits of cashier’s, certified, teller’s, traveler’s, and federal, state and local government checks will be available on the first business day after the day of your deposit if the deposit meets certain conditions. For example, the checks must be payable to you (and you may have to use a special deposit slip). The excess over $5,000 will be available on the ninth business day after the day of your deposit. If your deposit of these checks (other than a U.S. Treasury check) is not made in person to one of our employees, the first $5,000 will not be available until the second business day after the day of your deposit. Funds from all other check deposits will be available on the ninth business day after the day of your deposit. Minimum balance to open the account - You must deposit $200.00 to open this account. Minimum balance to avoid imposition of fees - A service charge fee of $5.00 (for consumer accounts) and $10.00 (for non-consumer accounts) will be imposed every statement cycle if the balance in the account falls below $300.00 any day of the cycle. A BanClub service charge fee of $5.00 (Individual), $6.00 (Personal), or $7.00 (Family) will be charged each month. Senior BanClub accounts (55 and older) monthly service charge fee reduced by $1.00 (upon notification). The insurance offered with BanClub account is not a deposit, not FDIC insured, not an obligation of or guaranteed by the financial institution or an affiliate and not insured by any agency of the U.S.
Rate Information - Your interest rate and annual percentage yield may change. Frequency of rate changes - We may change the interest rate on your account at any time. Determination of rate - At our discretion, we may change the interest rate on your account. Compounding and crediting frequency - Interest will be compounded every month. Interest will be credited to your account every month. Effect of closing an account - If you close your account before interest is credited, you will not receive the accrued interest. Minimum balance to open the account - You must deposit $1,500.00 to open this account. Minimum balance to avoid imposition of fees - A service charge fee of $10.00 will be imposed each monthly statement cycle if the average collected balance for the monthly statement cycle falls below $1,500.00. The average collected balance is calculated by adding the principal in the account for each day of the period and dividing that figure by the number of days in the period. Average daily balance computation method - We use the average daily balance method to calculate the interest on your account. This method applies a periodic rate to the average daily balance in the account for the period. The average daily balance is calculated by adding the principal in the account for each day of the period and dividing that figure by the number of days in the period. The period we use is the monthly statement cycle. Accrual of interest on noncash deposits - Interest begins to accrue no later than the business day we receive credit for the deposit of noncash items (for example, checks). Minimum balance to open the account - You must deposit $2,500.00 to open this account. Minimum balance to avoid imposition of fees - A service charge fee of $10.00 will be imposed each monthly statement cycle if the average collected balance for the monthly statement cycle falls below $2,500.00. The average collected balance is calculated by adding the principal in the account for each day of the period and dividing that figure by the number of days in the period. Transfers from a Money Market account to another account or to third parties by preauthorized, automatic, internet or telephone banking or telephone transfer or by check, draft, debit card, or similar order to third parties are limited to six per statement cycle. An excess withdrawal fee of $10.00 will be charged for each debit transaction (withdrawal, check paid, automatic transfer, or payment out of this account) in excess of six during a monthly statement cycle. Compounding and crediting frequency - Interest will be compounded every quarter. Interest will be credited to your account every quarter. Minimum balance to avoid imposition of fees - Accounts with average collected balance of BELOW $150.00 per month will be charged a service charge of $.50 per month. (18 years of age and under are excluded. WE MUST HAVE BIRTH DATES.) The average collected balance is calculated by adding the principal in the account for each day of the period and dividing that figure by the number of days in the period. Average daily balance computation method - We use the average daily balance method to calculate the interest on your account. This method applies a periodic rate to the average daily balance in the account for the period. The average daily balance is calculated by adding the principal in the account for each day of the period and dividing that figure by the number of days in the period. The period we use is the calender month. Withdrawals or transfers from a Regular Savings account to another account by telephone or in person are limited to two per month. An excess withdrawal fee of $2.00 will be charged for each debit transaction in excess of two during a calendar month. The following fees may be assessed against your account and the following transaction limitations, if any, apply to your account. An account is dormant if for one year you have made no deposits or withdrawals to the account and you have had no communication with us about your account(s). The categories of transactions for which an overdraft fee may be imposed are those by any of the following means: check, in-person withdrawal, ATM withdrawal, or other electronic means. CHECK ORDERS from companies other than Samson Banking Company will be accepted only if compatible with our equipment. POSTDATED CHECKS: postdated checks are not the responsibility of the bank. WE must be notified in writing by the customer of any item that is postdated. Please see our separate rate sheet for current rates. We may require not less than 7 days’ notice in writing before each withdrawal from an interest-bearing account other than a time deposit, or from any other savings account as defined by Regulation D. Withdrawals from a time account prior to maturity or prior to any notice period may be restricted and may be subject to penalty. See your notice of penalty for early withdrawal. By clicking Continue, you will be taken to a website that is not affiliated with Samson Banking Company. Please be advised that you will no longer be subject to, or under the protection of, the privacy and security policies of Samson Banking Company’s website. We encourage you to read and evaluate the privacy and security policies of the site you are entering, which may be different than those of Samson Banking Company.